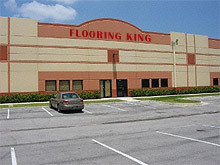 Let us completely install the flooring - for as little as $1.99 a square foot! We designed a simple program for all home owners and have 1,000 happy customers to prove it. next day installation, you can enjoy a stylish look with laminate wood flooring liners in no time. All of the installers we use are specially trained professionals, so you can have confidence that every job is always performed with precision, skill and the utmost pride. Every installer must pass a rigorous standards and skills screening tests to become a The Flooring liquidators installer. This way, we can ensure you always receive only the very best service and workmanship for your product installation. In addition to being skilled at their trade, the installers are great at working with you to ensure your experience is pleasant. Any questions, concerns or comments you may have while they are on the job are addressed as a priority, on the spot. You first will need to come to our showroom to pick your choice of flooring from the many diffent colors and styles we have to offer. 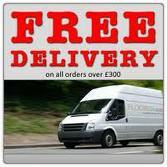 We will then deliver the flooring to your home for FREE. We will provide you with Next Day Installation, guaranteed! 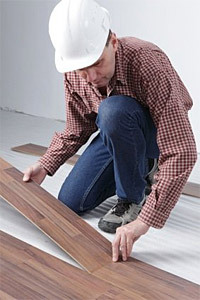 We will go the following morning to your home to do the installation of your new flooring. We can install up to 1,500 square feet in 1 day including staircases if any. All of our professional installers are licensed and insured with many years of experience in the flooring industry. We provide you with the highest of quality standard. All our installers, work 7 days a week, including weekends and holidays! We provide you with FREE Carpet Removal. We will professionally remove your old carpet and remove the carpet nails and frame -- once again, for FREE. We will prepare your home for the new laminate flooring to be installed, which includes moving the furniture around as needed to complete the job, for FREE. In order to give you the best installation service in the USA, we will remove your existing baseboards and install the new baseboards you purchased from us, for FREE as well. If you want to save money and don't want new baseboards, we will include for FREE Quarter Round Moldings in Basic White, for FREE. Our prices for the baseboards are very affordable and economical at only $.79/LF. As an example, lets say you have a 1,000 square feet of a flooring job and you would want to add baseboards to give you a complete finished look, it will cost you only $263 additional for the baseboards. We offer you a full One Year Warranty on the installation, guaranteed by Antonio, the owner. It is known that the warranty service provided by Antonio is the most reliable and the best in the USA. As long as your flooring is not damaged by any water damage and/or extreme heat, we will come out and fix it for you for FREE, within the 12 month period of the date of installation. I am the only one in the USA that does not and will not, charge you a penny to fix the laminate wood flooring you purchased from us. and the LocalAdLink Directory listed under the following categories: Retail Stores - Carpet &semicolonplace Flooring, Retail Stores - Outlets, Retail Stores - Surplus, Services - Handyman, Services - Home Remodeling &semicolonplace Repair.